A Distinctive 7-Story building with Residences ranging from 1 Bedroom Luxury Condominiums to 3 Bedroom Luxury Penthouses in Downtown Morristown, NJ offering the Ultimate in Luxury In-Town Living. The Extraordinary Residences at 40 Park in Downtown Morristown offer a Classic Elegance coupled with Ultra-Sophisticated Amenities for a Lavish Lifestyle Beyond Compare. Style, Comfort and Location. Beautiful architecture and an amazing In-Town location right on Morristown’s Historic Green makes this a truly unique community. 40 Park has become part of the Morristown Green landscape with fine restaurants, boutique shopping and entertainment right at its doorsteps. The Morristown Train Station is a short walk away and offers an easy ride to New York City with it’s Midtown Direct Service. Welcome to the Ultimate In-Town Living Lifestyle! Morristown lies just 35 miles west of New York City in Morris County, NJ and is just minutes away from all the conveniences necessary for today’s lifestyles. Amenities include a Fitness Center, Lounge with Fireplace, Kitchen and Bar Seating, Billiards Table, Media Lounge with Fireplace and TVs. Private Garage with designated Resident Parking. Spectacular Lobby with On-Site Concierge service and 24 hour Remote Entry. 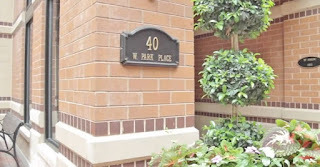 For Available Homes in 40 Park, please Contact Us!